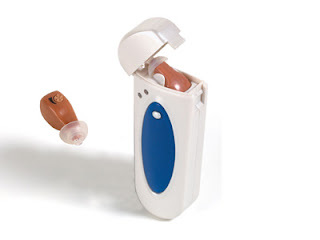 I recently found the "M-7 Secret Agent Spy Ear." Who knows if it works, but the manufacturer of this tiny device says it will allow you to hear other people's conversations across "great distances." They also claim you can "hone in" on specific conversations in crowded environments. Cool? Absolutely. Too good to be true? Possibly. that is really cool, i checked out some of the other products on the website, some were kinda odd. love that your blogging again!